Barossa Cabernet from vintage 2009 continue to impress. This is another classic from winemaker Peter Jorgensen. It has bold, generous flavours skillfully crafted from old vine fruit. The powerful structure is balanced by sophisticated oak, generous alcohol and refined dry tannins. The colour is deep garnet red with vibrant dark cherry hues and a subtle tint of mahogany on the rim. The alcohol richness of this Cabernet is immediately obvious as deep savoury aromas of black olives, smoky bacon and crushed herbs fill the air as the wine is poured into a large wide bowled claret glass. With a little breathing, the bouquet continues to open up revealing rich leather and polished timber. It’s intense, complex and almost tactile. The palate opens with a fresh hint of blackcurrant and cassis then explodes with herbaceous intensity followed by smoky oak and tobacco leaf. The middle is weighty and full, dominated by stomping tannins, cedar wood and vanillin oak while the back palate is sophisticated and refined with chewy game, dark chocolate and mocha. The intensity of flavour is balanced by the firm, drying tannins and velvety alcohol length. This wine has plenty of flavour and substance. It’s ideal to enjoy with complex rich cuisine like confit of duck, venison or hare. The intense flavours of truffle, Foie gras and blue cheeses are a great match with this wine. 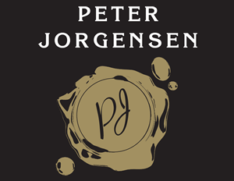 Peter Jorgensen’s Premier Reserve wines are selected for their longevity and depth of character. This Grand Barossa Cabernet Sauvignon will stand the test of time and age for many years to come. It will continue to develop deeper chocolate and mocha flavours as the primary fruit flavours soften. This is a fine example of solid Barossa Cabernet from premium, old vineyards.